The top grossing apps that make it to the top of the App Store all share some commonalities. While 'App Store optimization' is a hot topic today, no amount of research will help if you fail on your product. Just like traditional SEO is all about great content, getting to the top of the charts is about building a great product. But what does 'building a great product' mean exactly? We teamed up with one of the leading app developers, Appster, to analyze the best performing apps that rank high in the App Store. Here's what they shared. Top ranking apps are simple and straightforward. To succeed in the App Store and get to the top of the charts, you need adoption. Data shows that 77% of apps get deleted or never used again in less than three days after install. In less than three months, the figure drops below 90%. To get adoptions, your users need to 'get it' right away. Complex features and lengthy onboarding just lead to confusion and loss of motivation to use the app again. There are plenty of apps that are quite useless and successful at the same time. With a couple of exceptions; they don't typically stay around for too long. The ones that do become a part of our lives, solve a problem or provide value that matters. Most of us can't imagine our lives without apps like Uber, Google Maps, Spotify, or Whatsapp. Novelty and innovation are often used interchangeably. But they're not the same thing. Novelty or invention is just something new. Innovation is when something novel meets an existing market. Think about the difference between PalmPilot and iPhone. Same idea, but different market conditions. It's the same with apps that are successful. It's not enough to come up with something new. Apps like Uber or Duolingo solve a problem in a novel way, but there was an existing market demand for a solution to that problem. When Apple built the iPad, the idea was to make it so intuitive that if you give it to a five-year-old child, they will instantly figure out how to use it. Products that are intuitive gain quick adoption rates. If a user needs to watch a tutorial, contact customer support, or read a manual to figure out how to use it, they'll probably ditch it before they ever use it. People make their buying decisions based on emotions, not logic. Stories build a connection and create the empathy necessary to create that emotion. In other words, they sell. A set of features that function in a certain way is a hard sell. A story that paints a picture of how the user's life is improved goes a long way. Instagram isn’t a camera app with a newsfeed; it’s a way to “share moments with friends." Periscope isn't a live broadcasting app; it's a way to "explore the world through the eyes of somebody else." Without engagement, there is no retention and while getting users for your app is hard, retaining them is, in fact, harder. As noted earlier, 77% of users will delete the app or never use it again within less than three days. Apps that engage become our habits and habits stick with us for the long-term. When you wake up, you check your Facebook automatically, right? One of the most influential designers alive today, Dieter Rams, famously stated, "The aesthetic quality of a product is integral to its usefulness because products we use every day affect our person and our well-being. But only well-executed objects can be beautiful." Looking for the gap in the market is paramount. Not only for originality but offering a new path for users to obtain what they need, easier and more conveniently. With the modern day march towards a more sustainable and connected future, there are many gaps in the market. 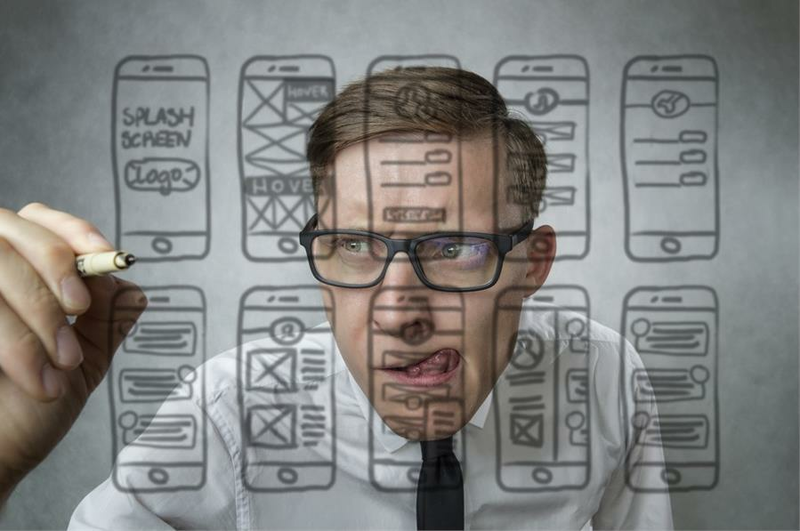 How can you build an app for that?